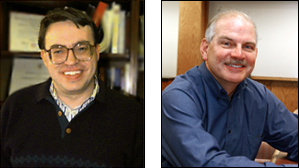 ISR announces its fall distinguished lecturers. On Oct. 11, we welcome Dr. Dimitris Bertsimas, the Boeing Professor of Operations Research at MIT. He will be speaking on "Robust and Adaptive Optimization: A Tractable Approach to Optimization under Uncertainty." On Nov. 15, H. Vincent Poor, the George Van Ness Lothrop Professor in Engineering at Princeton University, will join us to speak on "Signal Processing and Wireless Networks." Mark you calendar for these two important events. Learn more about our speakers and their topics at our Distinguished Lecturers Series page.